I have worked with Green Seattle since 2009 and began working in Westcrest in 2014 when I moved to the area. Westcrest was the closest park to me. I get a lot of support with tools and plants and of course, land. I want to make real change in environmental restoration and I am confident everything I do in Seattle Parks will be safeguarded in perpetuity. I like watching the results of my work. In places where I have cleared weeds, dormant natives grow back. 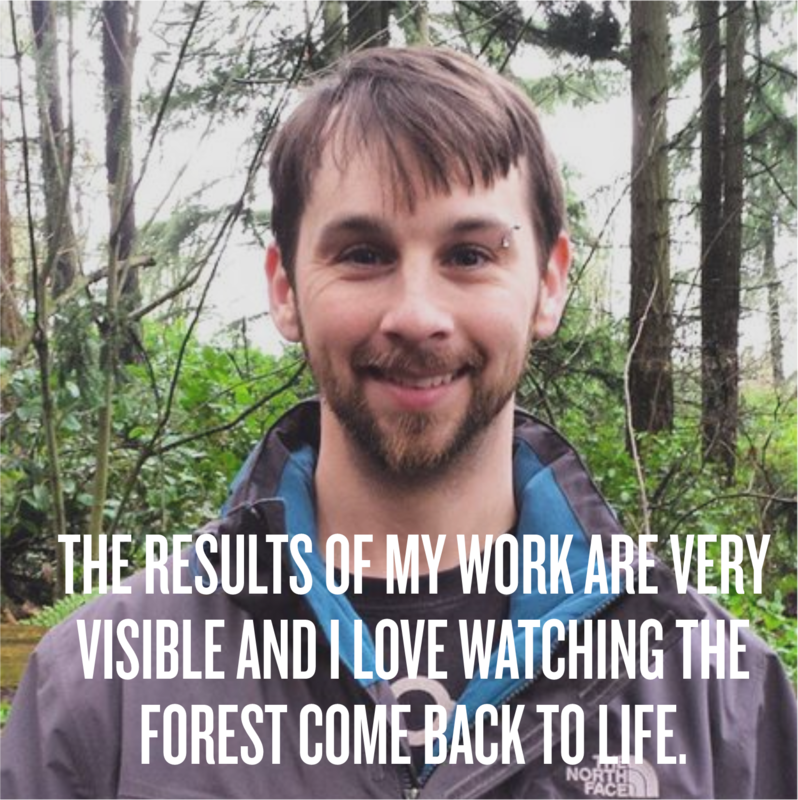 The results of my work are very visible and I love watching the forest come back to life. Yes, I often feel like I am making progress. I have often said to myself “this will be so much better after I complete tasks X, Y and Z.” When I reach those goals, I make new ones and watch my site transform. I do not know. I am very invested in the success of my site and I haven’t even considered what I would be doing if not putting so much time and energy into this project that I am so proud of. I hope more people invest time in being a volunteer steward, especially those with professional restoration experience. A steward can do small tasks that the official land managers do not have time to handle. The work is sometimes fun and sometimes miserable, but it always feels good to have it done. Joe’s work area at Westcrest Park isn’t the most volunteer-friendly, but you can still help out at this park with our partners at DIRTCorps. DIRTCorps leads regular events at Westcrest Park and they could always use your help! Check out this link to find your next chance to volunteer with DIRTCorps at Westcrest Park.